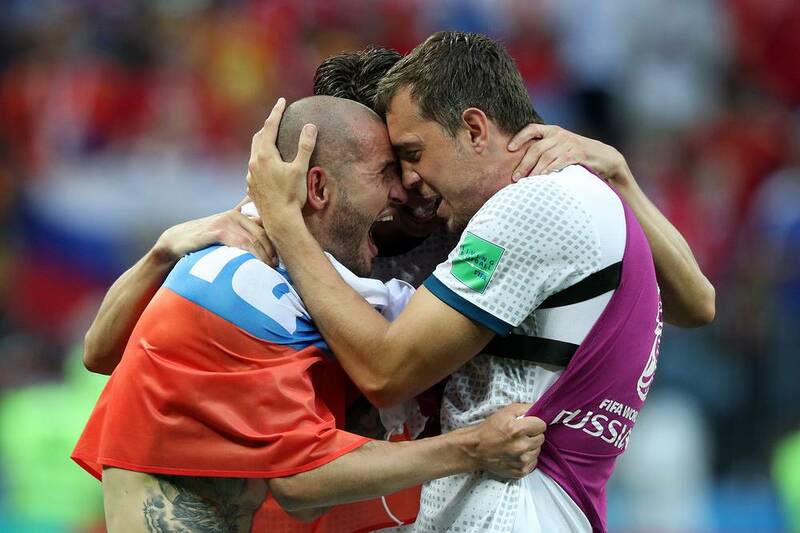 MOSCOW, July 1. /TASS/. The Russian national football team advanced to the quarterfinals of the 2018 FIFA World Cup after edging Spain on 3-4 penalties' win following 1-1 draw in the main time as well as overtime periods of the spectacular match at the Luzhniki Stadium in Moscow on Sunday night. Spain kicked off the ball to start the match at Russia’s historical Luzhniki Stadium, which saw an attendance of over 78,000 tonight amid the sunny weather with temperatures hovering around 25 degrees Centigrade (almost 78 Fahrenheit). The Spanish squad was clearly in possession of the ball since the start of the match. 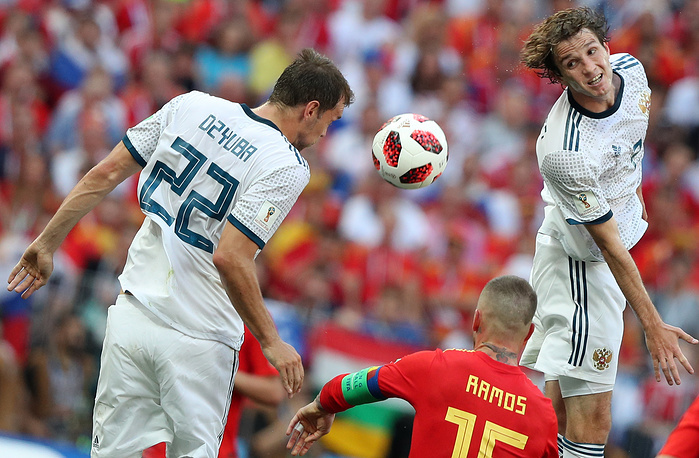 Twelve minutes into the game Spain’s captain Sergio Ramos tried sending the ball into the Russian net and it bounced off the calf of Russia’s Sergei Ignashevich reaching the initial target to unpack the score in the match at 1-0. 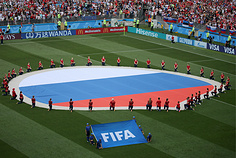 The Russian team played deep in the defense throughout the opening 45 minutes of the match with sporadic offences on the opponent’s net bringing no success to the hosts, while Spain maintained the dominance of the ball possession venturing on occasional attacks on the Russian goal from time to time. 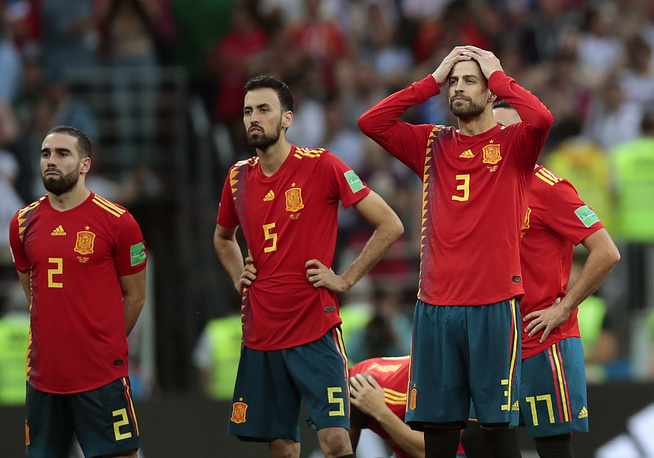 Less than five minutes remaining in the first half Dutch referee Bjorn Kuipers flashed a yellow card to Spain’s Gerard Pique for a foul in the Russian box ordering a penalty kick, which was flawlessly executed by Russian striker Artyom Dzyuba to tie the score at 1-1. 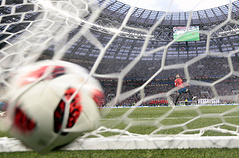 Despite the added time of two minutes, both times retreated for the 15-minute break with the scoreboard flashing 1-1. 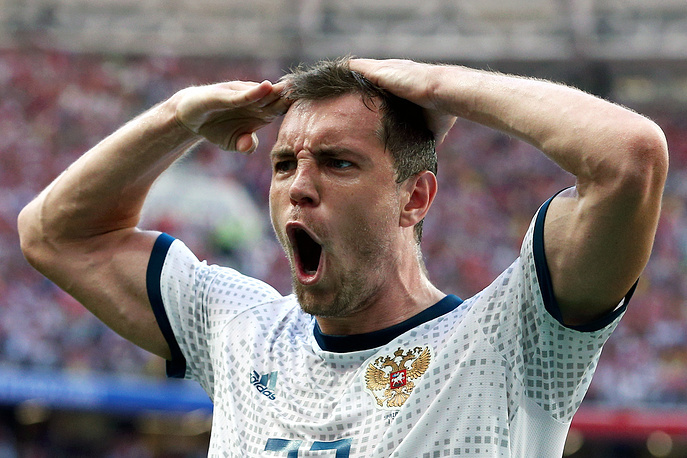 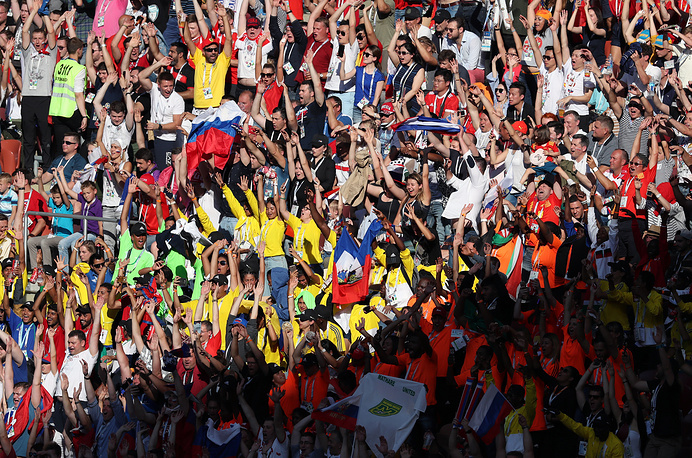 Dzyuba’s goal in the first half marked a page in the history of the Russian football, as he was the first to score in the knockout stage of FIFA World Cups since 1986, when Igor Belanov enjoyed a hat-trick against Belgium in Mexico in the round of Last 16. 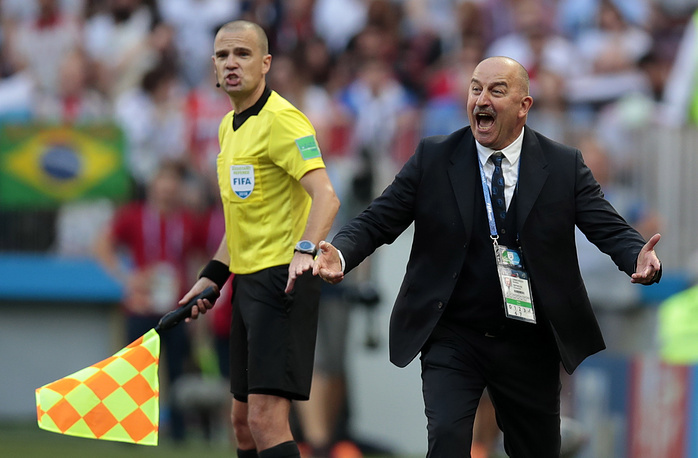 Almost 20 minutes into the second half, Russian Head Coach Stanislav Cherchesov opted for a reshuffle in the squad sending in midfielder Denis Cheryshev in place of Alexander Samedov. Several minutes later Dzyuba went on the bench and Fyodor Smolov was sent in to replace him. Russian midfielder Roman Zobnin was booked by the Dutch coach on the 71st minute of the game for slashing down one of his Spanish opponents. 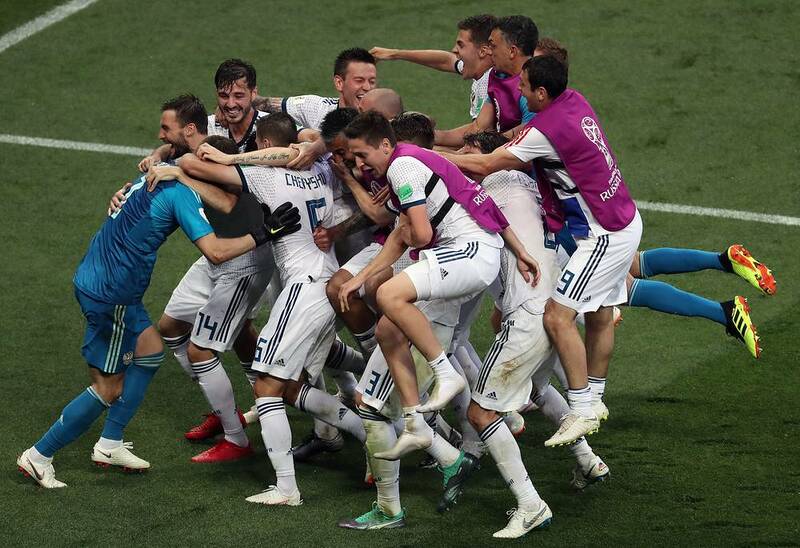 As the clock was ticking away the remaining minutes of the match, both teams upped their attacks on each other, however, the final whistle signaled the 1-1 draw, sending the teams into the overtime period. 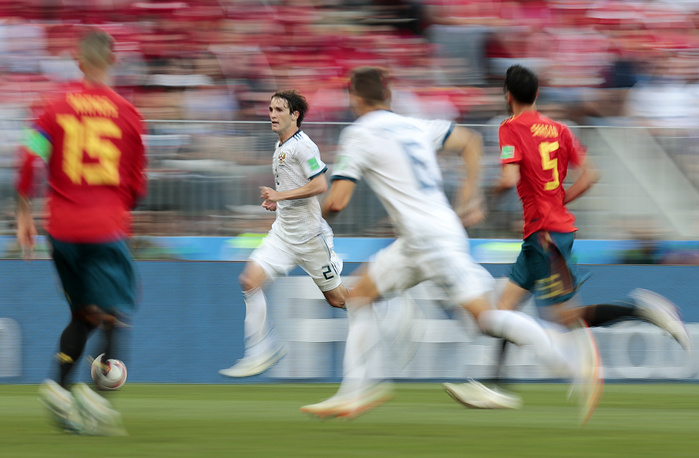 Both 15-minute halves of the overtime period also ended with the draw although Spain was aggressive on the Russian side in the first half of the added time, while Russia answered with a solid defense and counterattacks in the 2nd half. 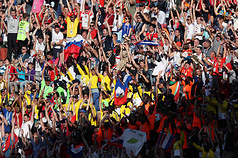 The following penalty shootout proved that that hosts Russia was stronger scoring all five shots, while goalkeeper Igor Akenfeyev saved two of the penalty strikes from Spain. 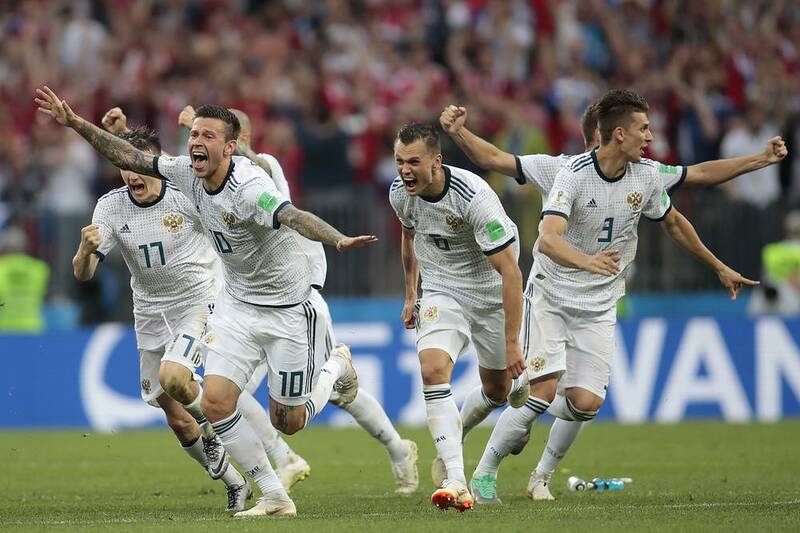 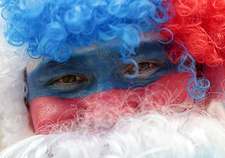 Russia will be now playing in the quarterfinals on July 7 at the Fisht Stadium in the resort city of Sochi against the winner of Croatia-Denmark match, which will be played later in the day.